Something special can be heard in the hallways outside the practice rooms at St. Sava Church in recent weeks. Children can be heard singing, but that alone isn’t what is so special – it’s how they are singing that makes the sounds truly unique. The children aren’t just singing along, reading words from pieces of paper. They are using their hearts and minds, filling the songs with spirit and doing their best to hit just the right notes every step along the way. It’s thoughtful work that requires precise thinking, but also requires the young performers to feel the music to make it come alive. They are learning the true art and science of choral singing in the Serbian and Orthodox tradition. It’s how the young children have been practicing for weeks as they prepare for their performance this weekend at the Children’s Choir Festival, “The Crown of Tones.” It’s a festival featuring children from churches in Indiana, Illinois, and Wisconsin coming together to sing a variety of songs and playing instruments that celebrate the rich Serbian cultural heritage. It’s an opportunity for you to see and hear Serbian tradition come alive through the voices and talents of the next generation at this special event that will take place beginning Saturday, March 12 at 6:00 p.m. in the new Pavilion at St. Sava, 9191 Mississippi Street, Merrillville, IN 46410. The children would greatly appreciate your support, being in the audience, and cheering for their good work. The Children’s Choir Festival “The Crown of Tones” wouldn’t have been possible if it were not for the creation of a Children’s Choir at St. Sava. For more than 100 years St. Sava Church has long been a center for culture and spirituality, providing opportunity for people of all ages to refine their talents and celebrate their traditions through music and dance. 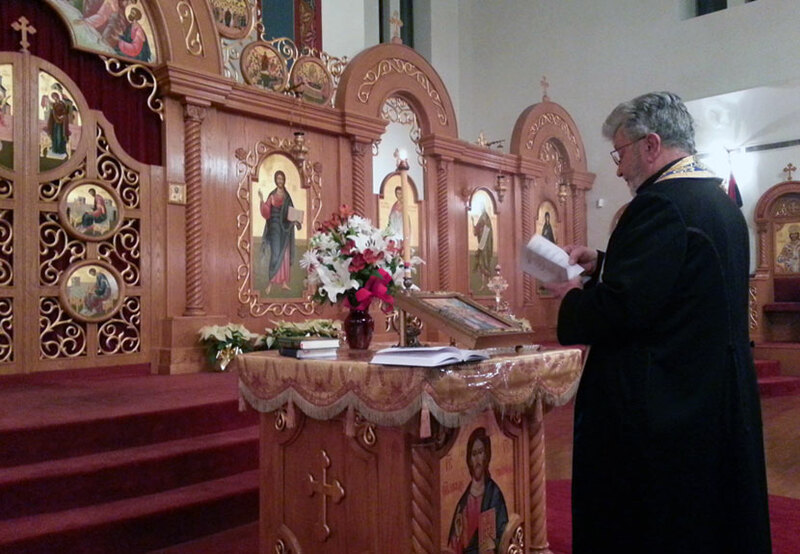 The opportunity to expand the choral offerings for youth and a chance to build new traditions began December 7, 2014 with the blessings of Father Marko and Father Bogdan as the St. Sava Children’s Choir was officially established. The organization began with a goal of gathering children who have a love for music and an interest to learn the language and culture our their ancestors. The choir currently has 14 members from the ages of 5 to 12. Their repertoire consists of several children’s spiritual and old Serbian songs with a few solos for children with an advanced talent. During rehearsals, much emphasis is put on development of the children’s voices. The choir spends time on musical literacy, leaning notes and musical terminology, as well as development of the feeling for the melody, the rhythm, and the dynamics of the music. Over the past year, our choir has added 15 pieces to the repertoire and has made several appearances at Church functions, as well as throughout the region. The choir is directed by Ivana Stankovic accompanied by Vasilije Vasko Stankovic on guitar. The St. Sava Children’s Choir wins our audiences and is aimed at increasing the number of children in the choir, as well as developing older singing groups. The Children’s Choir meets once or twice a week, generally Tuesdays and Thursdays at St. Sava. Every child is welcome, but will have a small audition for the sake of the director determining the level of the child’s musical ability. With increasing numbers of youth joining the Children’s Choir at St. Sava, along with their many performances throughout the region, the parents and leadership of the Children’s Choir sought to bring talents from around the area for a special showcase performance in the new Pavilion at St. Sava in Merrillville, Indiana. The special Children’s Choir Festival “The Crown of Tones” was created. Children’s choirs from around the midwest will be performing at the inaugural Children’s Choir Festival taking place March 12 at 6:00 p.m. at St. Sava Church in Merrillville, Indiana. The Children’s Choir of St. Sava is playing festival host under the direction of Ivana Stankovich. The festival titled “The Crown of Tones” will feature children singing a variety of songs and playing instruments that celebrate the rich Serbian cultural heritage. The mission of Gracanica Orkestra continues as the younger generations show interest and join the Orkestra, sharing knowledge and love of traditional Serbian music. For more details, please follow the St. Sava Merrillville, Indiana Facebook Page, “The Crown of Tones” Facebook Event, and the www.saintsava.net website.